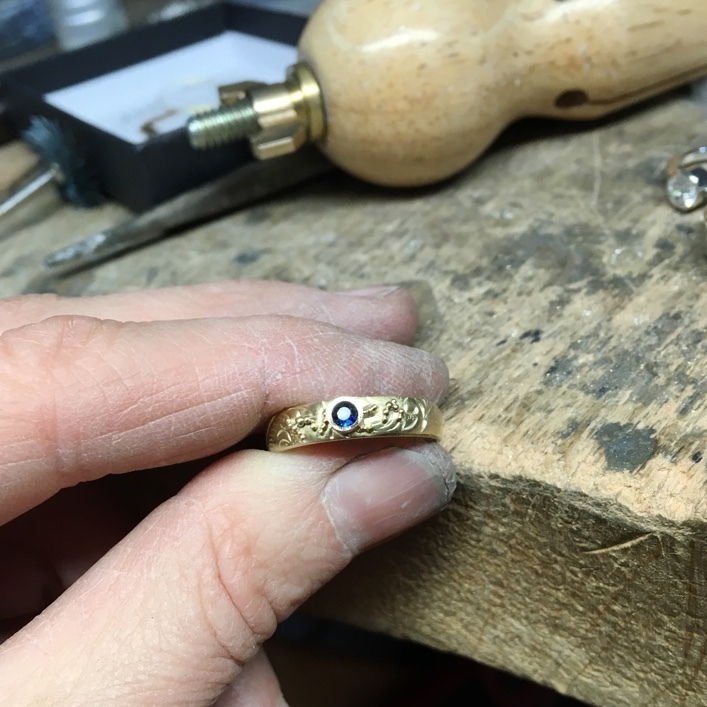 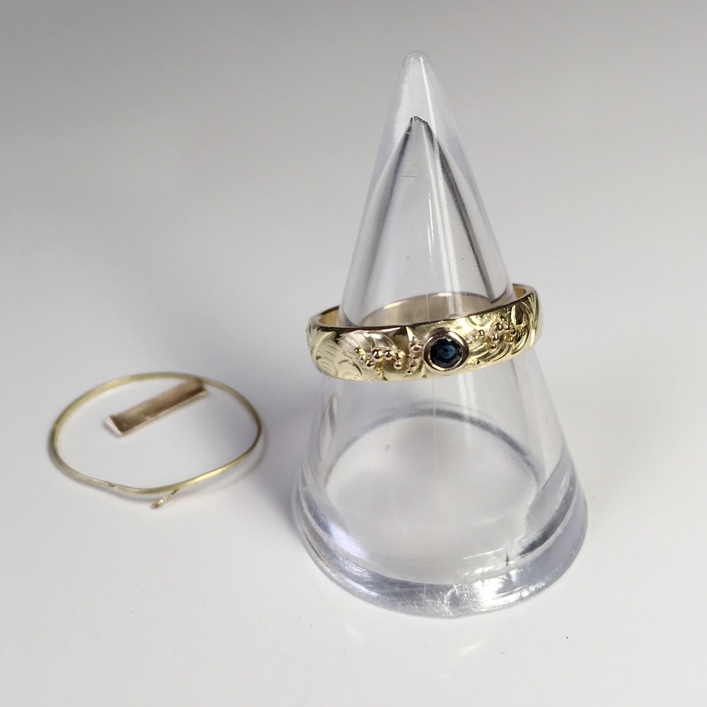 Using the customer’s original band I removed one of the sapphires from another ring and set it into the band adding to the detail with granulation beads.. 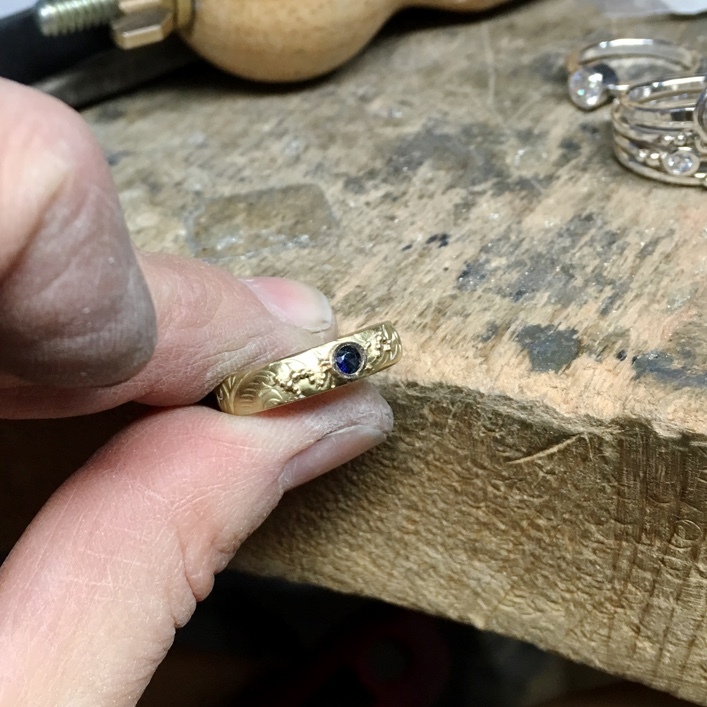 The Sapphire is removed from the old ring, a new setting is made. 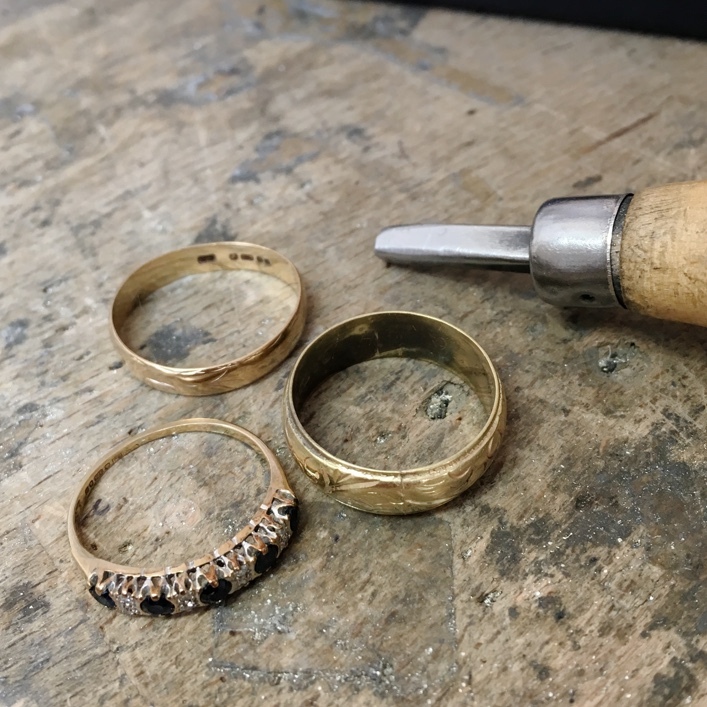 Price guide, from -£££ (for more information about our price guide, visit How to do Bespoke).